Each quarter I'll be blogging about the Alteryx blogging community. I do this to recognize our community users who are doing amazing things with Alteryx outside the community, and the last time I did it was highly successful. So here I go, blogging about blogs, ala a coffee table book about coffee tables. In keeping with the cyclic spirit of things, the first blog I'll highlight comes from Denmark and @danielbrun. Daniel surprised us by webscraping our community and then posted in the forums about it. This, in turn, got a lot of people interested in our community, if for no other reason than to solve people's problems! Perhaps ranking up in the community was a side motivator…who says gamification is dead?! Daniel updates the dashboard weekly and if you are into custom macros, be sure to check out The Invisio Macro Pack. The next blog I am totally into is the Pixel Mixer and before I get into it further, I need to crush a bit on that name. As a graphic artist myself, I have an affinity for pixels. I even named my dog Pixel (Isn't he handsome?). But I digress. @mix_pix has been very active in our community as of late and wrote an excellent piece about getting One Step Closer to Alteryx Nirvana - Building Macros and Apps. The concepts of building macros and apps are not the easiest topics to grasp if you are not a developer, but once you get it, you want the world to get it! I get it , and now I'm following @mix_pix on Twitter as well. He is just as talented in his photography as he is in his data wrangling and visualizations. Speaking of Twitter, last week @jdunkerley79 announced he released his new Alteryx toolset on Twitter. This latest release includes 6 new tools: Circuit Breaker, Date Time Parser, Number Parser, String Formatter, Hash Code Generator, and Random Number. You should check them out from his blog or from the Git Hub repo directly. 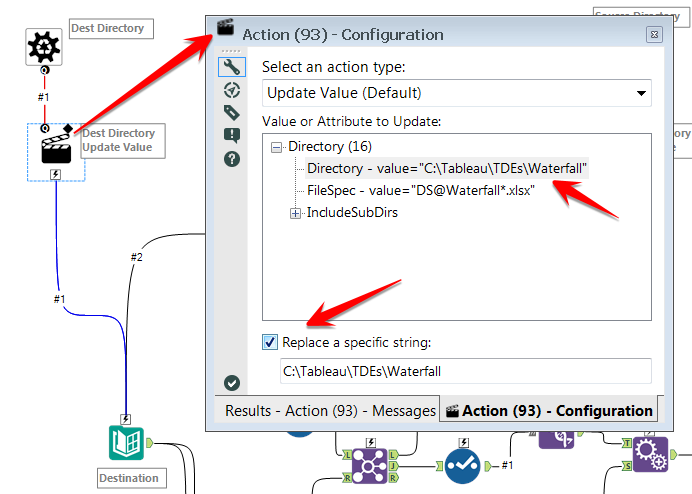 Another great post came from one of our ACEs, @michael_treadwell, who wrote a blog called Using the Alteryx Run Command Tool. Michael focuses on two great use cases for the tool – moving files and running a Python script – and describes the configuration in practical terms. Thank you, Michael! This blog post is apropos as we are currently planning a contest around tool usage. Keep an eye out for details soon. Another ACE that took to the blogging world recently is long time Alteryx pro and spatial wizard, @andy_moncla. His Aim Small, Miss Small post examines GPS-based mobile device location data for defining trade areas and customer differentiation at an individual level. Pretty cool stuff and his images are beautiful too. Alteryx does amazing things, and those things are only limited by the creativity and brilliance of our user community. Luckily for all of us, Alteryx makes us brighter every day. Do you have a blog you’d like me to highlight? Who are you following that should be recognized in an upcoming blog about blogs? Thanks for the high praise and "spatial wizard" designation Tara. I've changed my avatar. Thanks for the highlight, Tara! I am quite the fan of Alteryx and definitely hope to contribute more to the community as my skill with the tool grows.